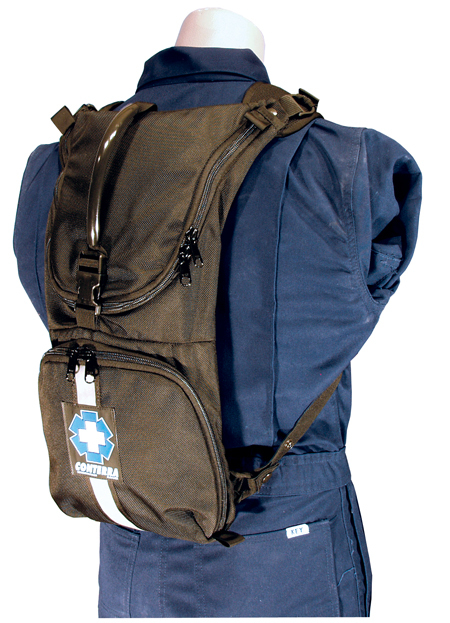 The LS First Response Pack carries BLS supplies, and even a hydration bladder. The LS can be attached to many other Conterra packs for enhanced modular capability. The top zippered pocket is filled with pre sewn pockets and elastic organizing loops. The bottom pocket is lined with rip and stick compatible fabric which accepts many of our modular pockets or can be configured to carry a Phillips or similar A.E.D. 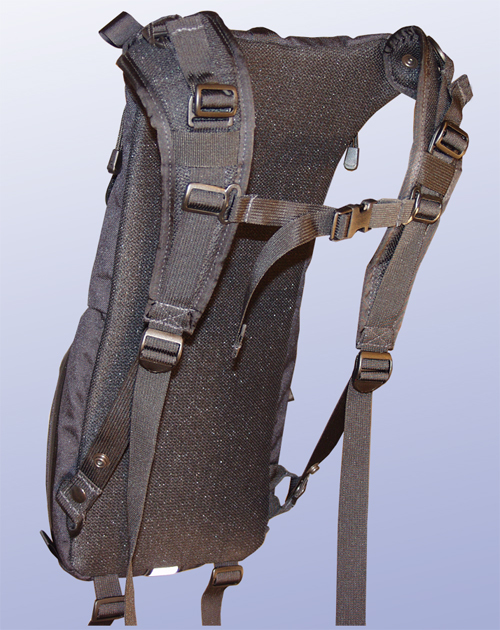 The unique swivel shoulder straps will fit any body size. Both pockets have dedicated loops to attach our E/R light, which will illuminate the inside of the pack during night ops. There is an outside loop as well for attaching the E/R light when mountain biking or travelling at night. This pack is a great choice for event response.